I don’t live particularly near to an Aldi store – and I don’t have a car in London. Buying wine for me is either a last minute thing at my local supermarket or a considered online decision and I have to admit I generally shop from wine specialists, not supermarkets when I’m looking. I’m tempted to change all that, having been sent some of the Aldi Exquisite Wines to sample. 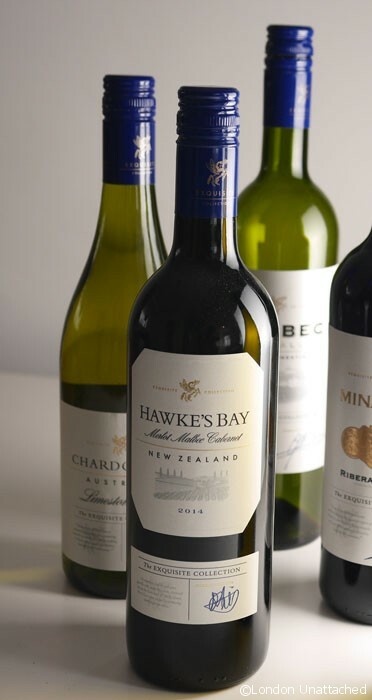 What Aldi have done is to pick out some of their favourite wines and put them into a collection. A carefully selected mix of serious award-winning wines and unique, excellent value specialist wines like the Chateau Peyredoulle 2012 (where else will you find good quality, matured Bordeaux for under £7.00 a bottle?) Wines include a selection of New World and European wines from a mixture of well known and lesser known regions. Perhaps the best way to explore what is on offer is to try the half case of mixed wines which retails at £38.24. You can order online and right now standard delivery is free of charge! 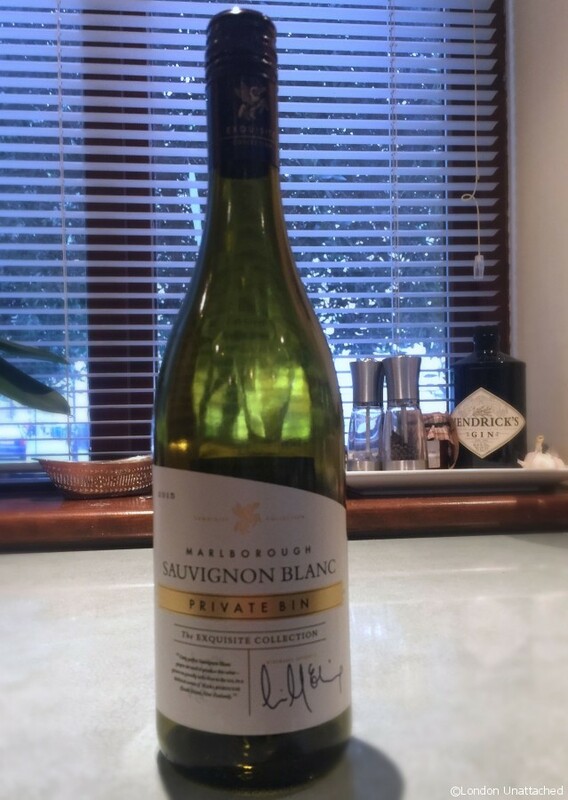 The selection I’ve been sent to review includes a Marlborough Sauvignon Blanc which we opened over Sunday lunch with friends. Enjoyed with a classic roast pork – quotes from around the table were ALL favourable. Light, crisp and beautifully refreshing. Medium dry and exceptionally quaffable. Very clean with notes of pineapple. We also thought it would be lovely on a summers evening and would work well with even the most subtle flavours. Definitely a winner. I have to admit, we haven’t worked through the entire case yet – it’s a reflection of the quality of what is there that some of the wines look quite good enough to keep for a special occasion or even for a few years. But, in addition to the Sauvignon Blanc, we have already tried the Uco Valley Malbec. One of the advantages of New World reds is that they are generally ready to drink at a much younger age than their European equivalent. The tasting notes tell us that this comes from high altitude vineyard plots. I’d love to know more about where this wine actually comes from but suspect that it’s actually a blend of grapes from a number of vineyards, selected to produce this fruity, fresh wine. We enjoyed ours with a Greek lamb dish (recipe to come) but, it would work well with cheese or with any meat dish. 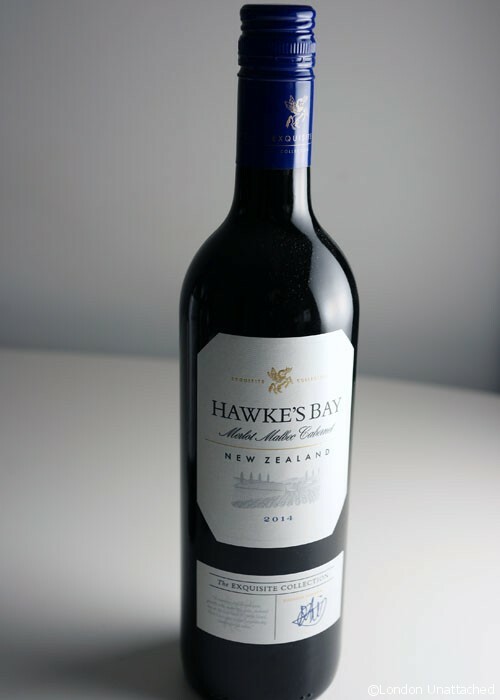 The final wine that I’ve tried is the Hawke’s Bay blend of Merlot, Malbec, Cabernet Sauvignon and Cabernet Franc. I’ve paired this one with the beef Wellington that I’ve made for Valentine’s day. First planted with vines in the 19th Century, this part of New Zealand is increasingly gaining a reputation for great red wines. Long hot summers and cool winters, with a dry climate, make this a great area for vineyards. 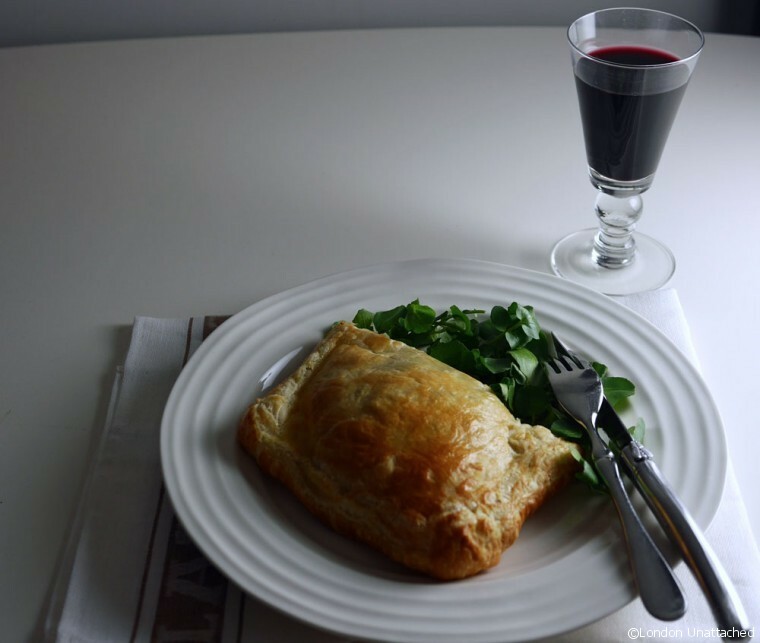 It was rich and plummy – a great pairing with the Beef Wellington but a wine that would also work with spicier dishes. Worth noting that both this and the Argentinian Malbec really improved with 30 minutes or so ‘breathing’. Just open the bottle half an hour before you want to drink it – the result when you come to take a mouthful will be softer and somehow more ‘mature’. There are three wines still to go – as I open the bottles and review (with paired recipes), I will link back so that you can get an update! Minarette del Duero is a Tempranillo from old grapes. Ribera del Duero, in Spain, was named Wine Region of the Year 2012 by Wine Enthusiast magazine. It’s another area where the microclimate, high altitude with hot days and cool nights, has a unique effect on the wines and helps to make them drinkable at an early age. I haven’t opened the bottle yet and I’m tempted to see how it stands up to being stored for a year. But there again, I might just try it and buy some more if I like it! at less than £6 a bottle for a half case, it’s not going to cause me any problems. An award winning wine, I’ll probably end up opening it sooner rather than later just to see. There’s a Chardonnay from Australia’s limestone coast, Unoaked, the tasting notes say this is a dry full bodied wine. Chicken perhaps? Or a creamy fish pie? And finally, there’s an award-winning, ultra dry Gavi from North West Italy. I’m thinking of a seafood carpaccio – or a delicate dish of lobster. Disclaimer: I was sent these wines to review and have received compensation for my time writing this feature. All comments are editorially given. I’m not much of a wine drinker either, but I’ve heard several good things about Aldi wines.